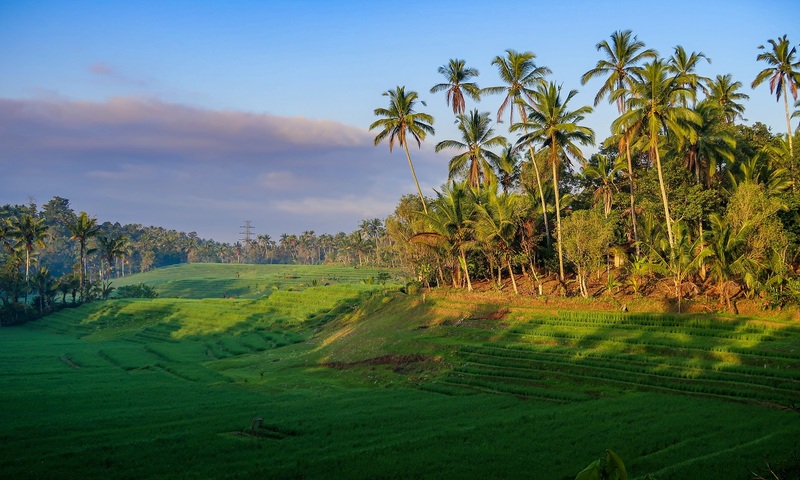 Bali Pupuan Rice Terrace is beautiful rice terrace located in the western part of Bali, a place to fill your eyes with awesome memories of great landscape accompanied by no one other than the friendly local farmers. Pupuan Rice Terrace is best enjoyed early in the morning or late in the afternoon on a clear day. When rainy, fog usually follows the rain and obscures the whole village. With the arrival of the planting season, the local cultivators start plowing their fields adding traditional culture to the scenery. The cultivators have retained their old way of cultivating their land with the help of buffalo. As padi grows profusely in the area, a deep green covers the landscape, resembling a vast emerald rug laid on the slopes of the hills. The cultivators of these crops share an intimate relationship with nature. At harvest time, the cultivators cut the paddy with traditional equipment called anggapan. Standing in rows, they sing while they glean their harvest.